Not very many people were interested in China in the early 1980s except for Andrew Collier and a few others. He went there as an exchange student from Yale just after the country’s reform and opening phase began. Later he built his career in finance, with China and Hong Kong as a launch pad. Having followed the country for more than 30 years, Mr. Collier knows what’s happening on the ground as well as the macro currents that influence the economy and policy. 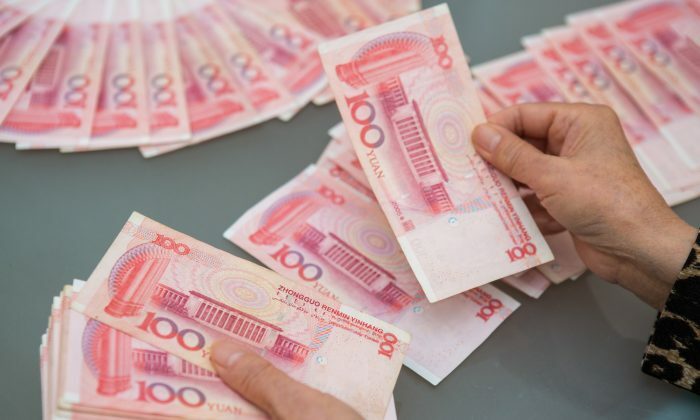 The Epoch Times spoke to the managing director of Orient Capital Research about capital controls, the local government bond swap, as well as renewed stimulus efforts. It’s definitely gotten harder to funnel money out of the country. Epoch Times: You talk to a lot of people on the ground; do you think the regime is tightening capital controls to prevent more capital outflows? Andrew Collier: When I was in Beijing, I spoke to some banks and they had a tough time to find out what are legitimate international transactions. The banks are in charge of approving loans. The banks are the ones who get in trouble. If they approve a loan for an international transaction, they have to prove to the regulators it’s a legitimate transaction. Transactions over a certain amount now have to be approved by their head office in Beijing. The banks don’t have that many people in Beijing. They have 200,000 branches, so they can’t keep up. On the margin that can affect certain transactions, but I don’t think it’s going to be a huge influence. Mr. Collier: There are $23 trillion in personal deposits in the banking system. I estimate 15 million people control half of all personal deposits in the banking system. They are very well connected. They are using their connections at the state-owned enterprises or large private companies. Some people are aggregating student loans as a way to move money offshore. Epoch Times: What about the debt swap program, where local governments can exchange their bank debt for lower-yielding bonds. You have done quite a lot of work on that. Mr. Collier: We are going to see a lot more from the bond swap. The allotted 3.1 trillion yuan ($470 billion) is not enough for 20 trillion to 30 trillion yuan in local government debt. They are trying to centralize the debt. The problem is that Beijing has a reluctance to increase central government debt through bond issuance. At this moment, there is no market for debt apart from the banks. They are finding ways to put debt on the central government’s balance sheet without calling it this way. I don’t trust the official figures of a rebound. The bond swap is the first example of that. The original intent was to replace loans with bonds. It’s not happening this way. A lot of the money is being leaked out. If they swap 10 million, the banks only get back 5 million to 7 million. A portion stays with the local government. They are essentially increasing the amount of debt with the bank. The banks I talked to said they are losing because they are taking a haircut for this. Epoch Times: So the regime starts another round of stimulus with debt? 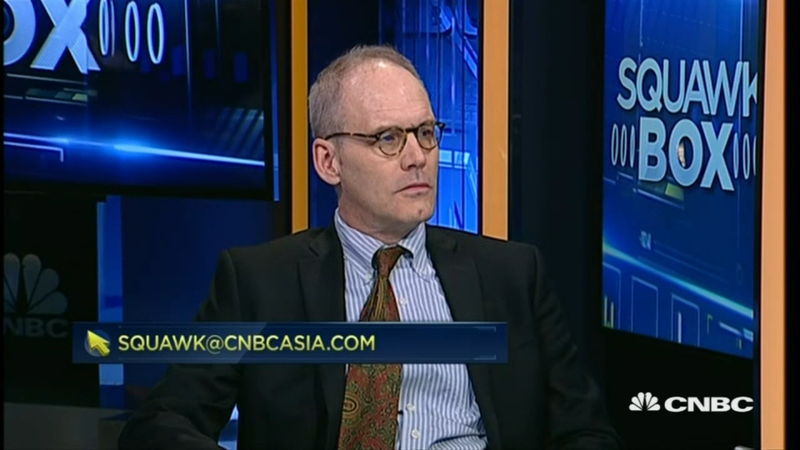 Mr. Collier: The banks have started to evade lending restrictions. For one bank I saw, there was a 30 to 40 percent increase in investments. That could be a sort of bond or equity, or custom project but not strictly loans. There is very little disclosure regarding investments, so they can do what they want. Their risk weightings are a lot lower. It moves from being a loan to being an investment. They evade the central bank’s restrictions. They are extending more loans to local governments. They are using it to prop up the local economy. They are in the middle of doing all these projects, they ran out of money, so they would have to declare it a default, unless they get more money to complete it. It’s all being centralized on the banks’ balance sheet. Epoch Times: Give us your take on the recent rebound in property. Mr. Collier: You have vacancy rates of 25 to 30 percent. There is a lot of stuff that is not being used. The only way to clear vacancies is to lower prices. So you could have a multitrillion yuan hit on household wealth. [The largest investors in property are households.] The prices will have to come down if there is market clearing. I don’t trust the official figures of a rebound because they don’t cover the lower-tier cities which make up the bulk of property construction. The data is highly untrustworthy.